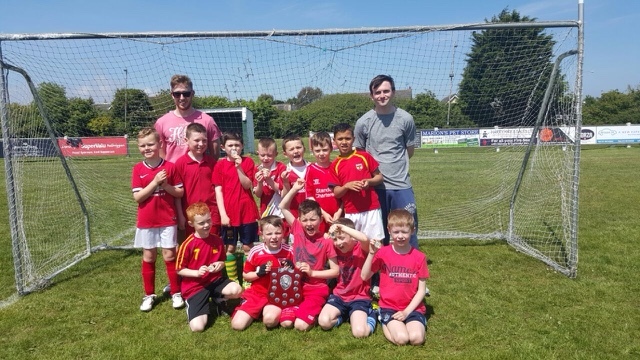 SS Peter and Paul JNS has a long running partnership with our local GAA club, O'Dwyers of Balbriggan. 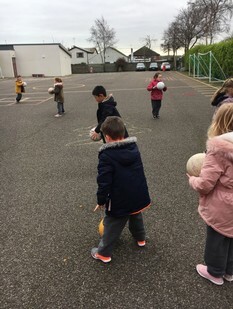 For many years now we have had coaches from O' Dwyers visit our school to give coaching lessons in Gaelic Football to all the boys and girls. The children absolutely love this and look forward to their weekly session with excitement. 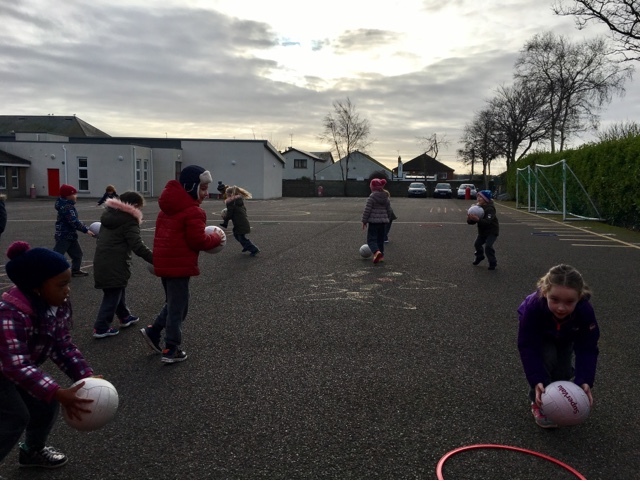 Barry was the school coach, who came in all weathers every Thursday to teach the classes gaelic football skills. 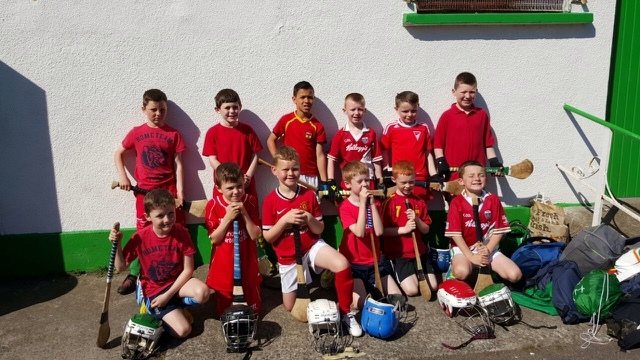 He had great patience and many of the boys and girls signed up to join O'Dwyers as they loved his classes so much. 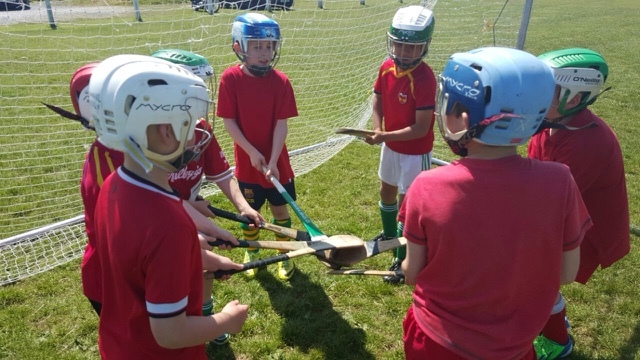 It is through O'Dwyers that our school takes part in an annual GAA Blitz. 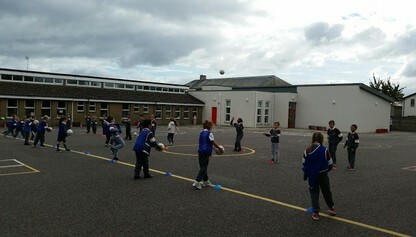 This is where our students compete against students in other schools in the community in football and hurling. 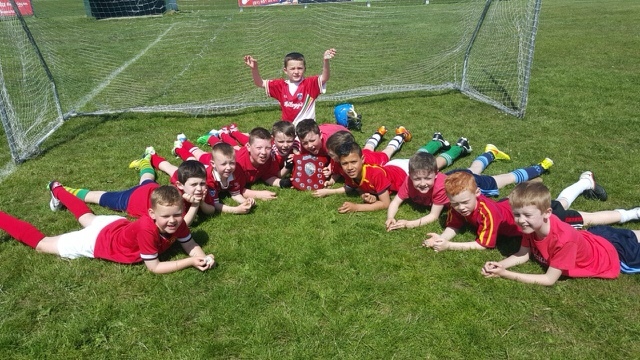 We were delighted when our school won and returned triumphant heros with a trophy in hand. 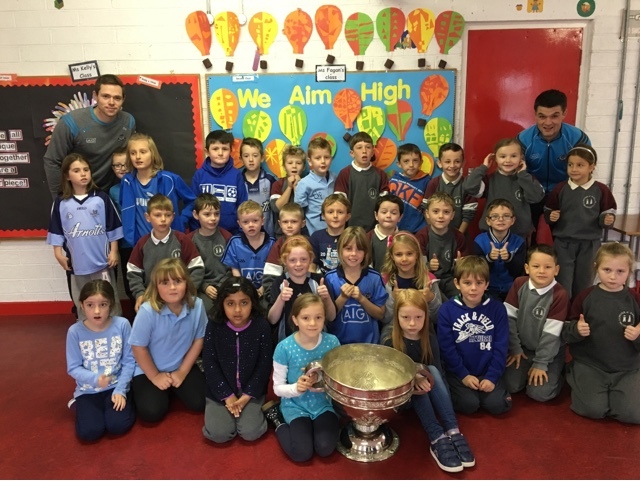 Thanks to O'Dwyers club we have been lucky to get a visit from the Senior Dublin GAA Football team. 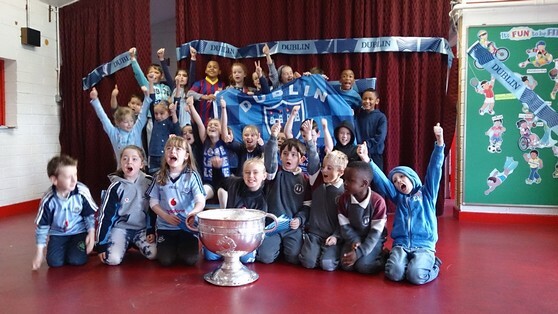 For the past few winning years, they have come to visit us and bring the infamous Sam Maguire cup with them. 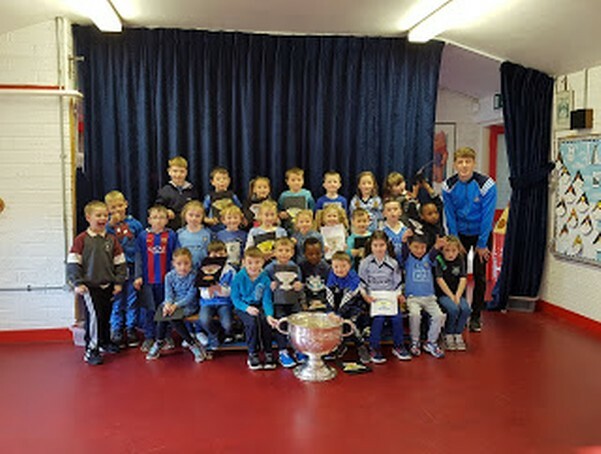 The Ladies GAA football team also called in to see us with the Brendan Martin Cup when they won the Ladies All-Ireland Gaa Football final. 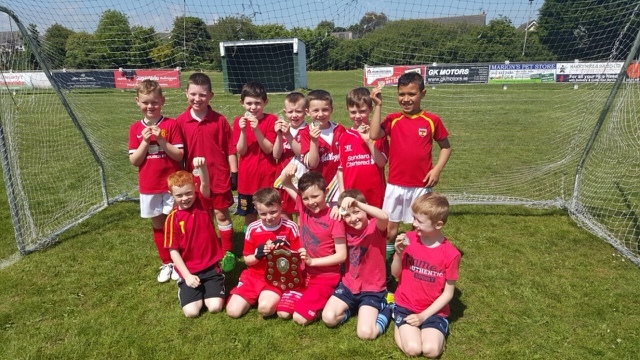 Hopefully in the future, we will be proud to say that some of our past pupils will be winning All-Ireland trophies in the Gaa Football and Hurling Finals.